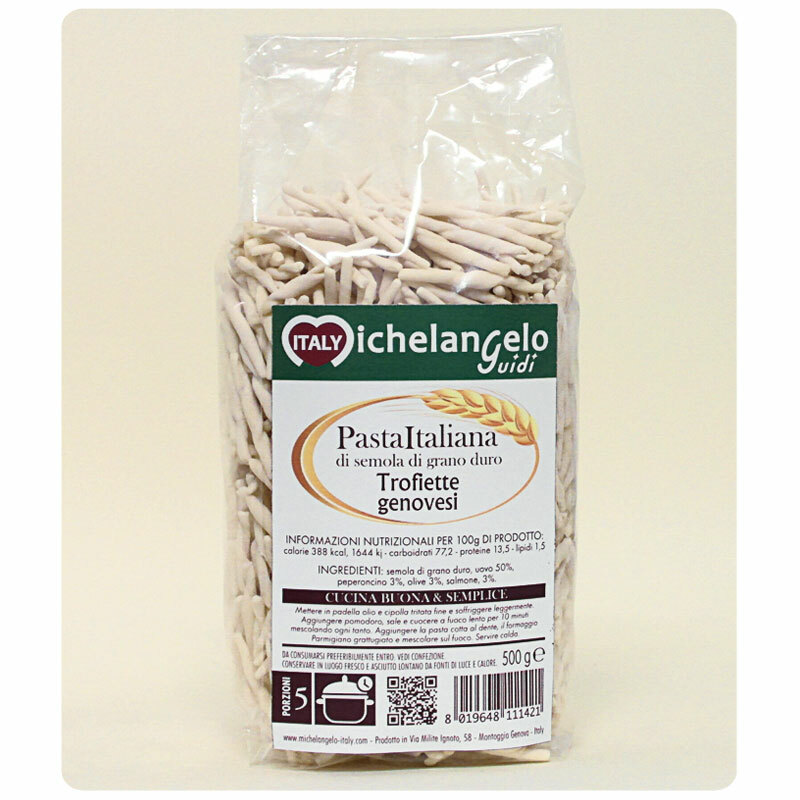 TROFIETTE GENOVESI (code 26) Retail - G.d.o. COOKING TIME: 20 minutes (“al dente” as we love it in Italy). A few more minutes for those who like it a little softer.